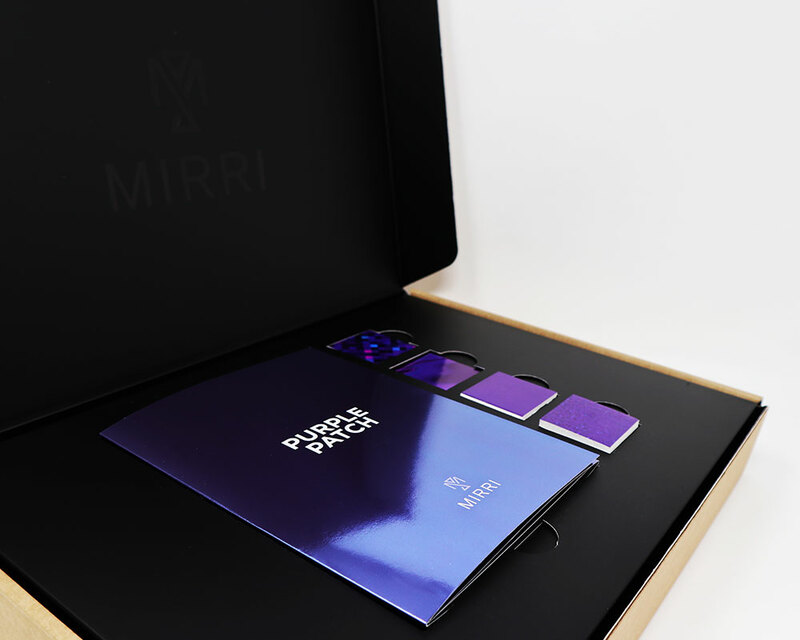 Our most recent campaign saw us combine our take on the Pantone Colour of the Year, Ultra Violet, with our popular product – the Mirri Wow Pack. 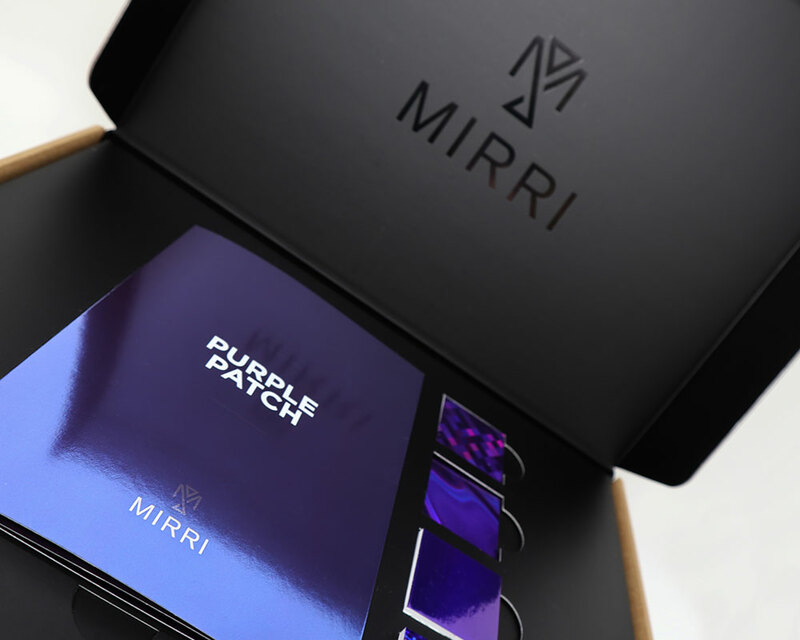 The ‘Purple Patch’ campaign, as we have come to name it, was aimed at evoking brands’ imaginations and allowing them to see what is possible when they work with Mirri. The mailing box was produced in-house and lined with Mirri Silk Black. The sheets of Mirri were foiled before being applied to the box board on our Board to Board laminator, located at our Reading site. 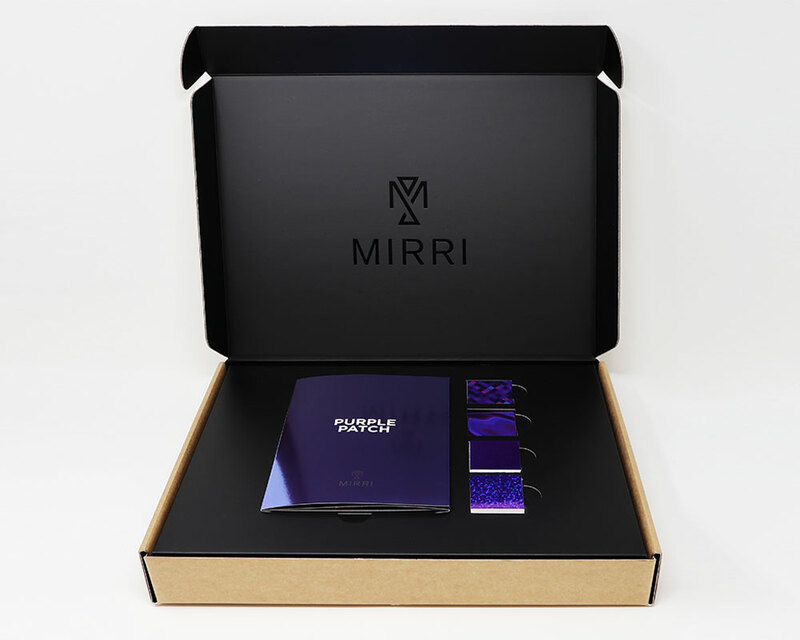 We wanted to encompass a luxury, high-end impression from this campaign so we flat foiled the Mirri logo with CF Black Foil on the inner lid – giving a minimalistic and subtle yet effective look when opening. The trend book ‘Purple Patch’ sat inside the Mirri Wow Pack in a beautifully contrasted setting. 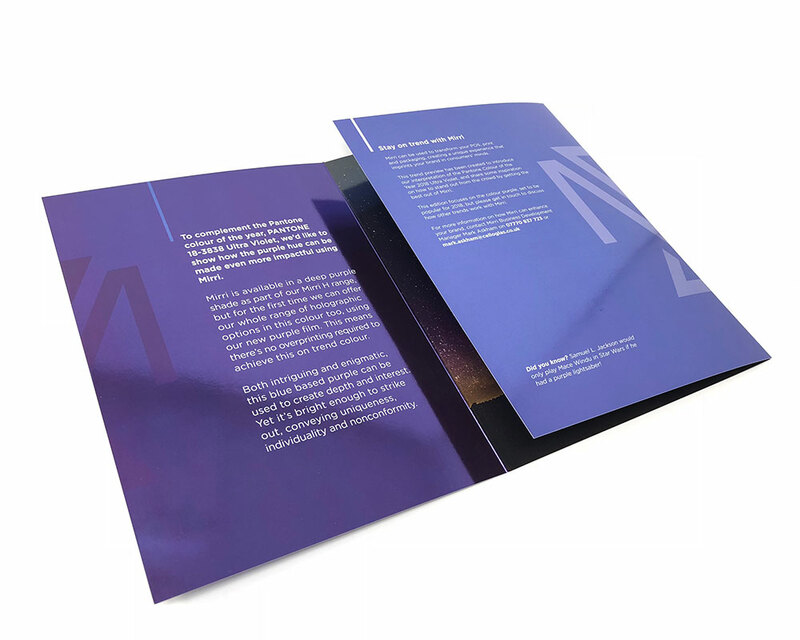 We created this trend book through use of litho print onto Mirri Duo Silver- our double-sided product that gives shine from any angle. 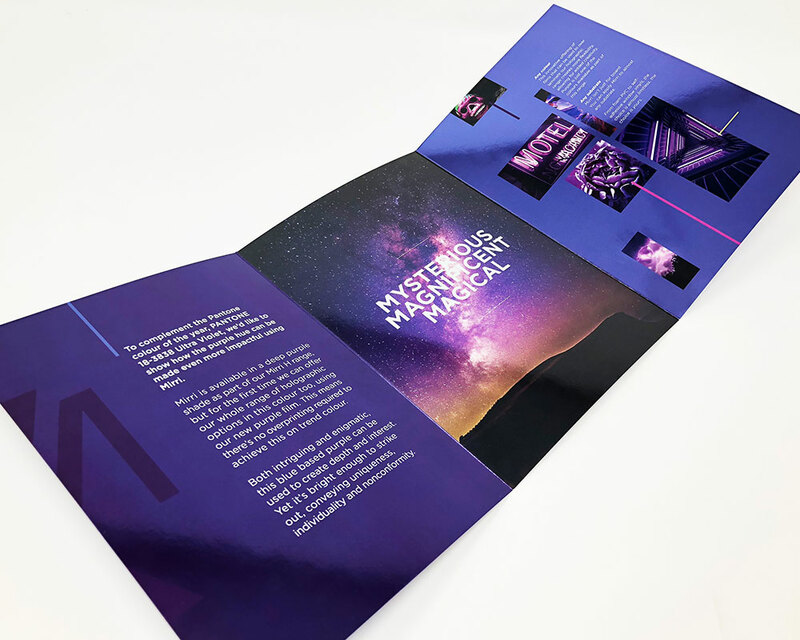 The artwork for the trend book was based on incorporating the Pantone Colour of the year, Ultra Violet, alongside themes such as Halloween and ‘magical’ effects, with an aim to inspire brands and trigger ideas for campaigns later in the year. Foam PVC – Mirri Holographic Rainbow with purple film. The inner tray was produced by Die Cut Finish, who are based at our Leeds site. It was produced using Mirri Black Silk to match the lining of the box. Incorporated into the tray were thumb tabs which allowed us to neatly place items in – perfect for those small but important additions to any luxury packaging. If you have any questions or would like to enquire about any other products or services, please get in touch.